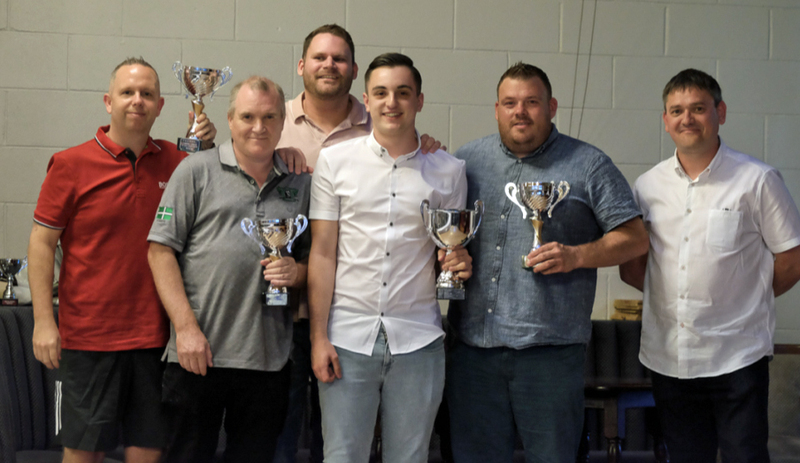 THE Tamerton Wrought Iron Works Plymouth & District Tuesday Snooker League recently held their end of season presentation evening at Saltash Social Club. 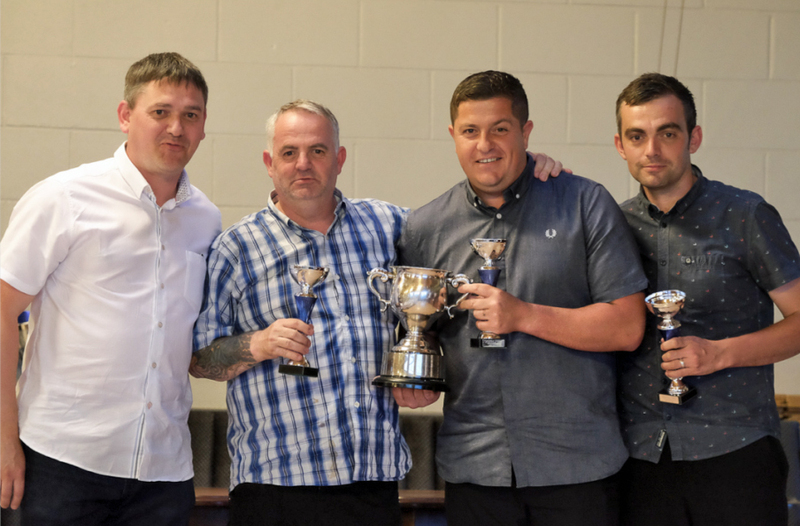 Guest of honour was Lee Hardacre of Precise Accountants Ltd who helped present the various team, individual and pairs trophies to this year’s winners. Plaza A were crowned champions for the first time in Division A after pushing ahead of rivals Keyham Cons A, who finished in runners-up spot. Plaza’s star player, Haydon Pinhey, was the league’s most prolific break-builder with breaks of 125, 117, 106 and 106 to his name. Division B went down to the wire, with debutants Hyde Park B topping the league at their first attempt. They finished just a single point ahead of GWRSA Laira C. These two teams also met in the final of the Knockout Cup, with Hyde Park gaining the advantage 4-2. Saltash’s John Hart compiled the division’s highest break with a 72. 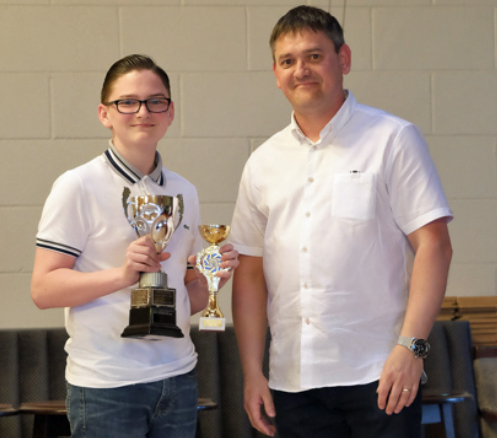 Keyham Cons’ Ben Freeman saw his name engraved on a collection of trophies as he was crowned champion of the individual handicap and under-21 competitions, in addition to receiving the award for the league’s most promising young player. The most prestigious competition, the individual championship for the E J Riley Cup, was won by Haydon Pinhey for the fifth consecutive time beating Steve Brookshaw in a repeat of last year’s final. In the over-50s competition, Essa Club’s Mike Hughes took the title, defeating Hyde Park’s Mick Chandler in the final. The league also saw some competitive doubles action, with Plaza’s Haydon Pinhey and Michael Day successfully defending their doubles title. Ryan Hodge and Brett Morgan of Hyde Park B captured the handicap doubles competition in their first season. Meanwhile, in the regional Sunday Independent doubles, organised by the league, winners for the last two years, Steve Brookshaw and Brian Burrows (Keyham Cons), reached the final again but were prevented from making it a hat-trick by the consistent form of Andy Ridgman and Nigel Ryall from St Neot. League donations were also made to two local organisations. These were presented to the West of England Billiards and Snooker Foundation, a not-for-profit community group that provides billiards and snooker activities around the South West, and the Plymouth Referees’ Association, who supplied officials for the competition finals. A good year for the league. Well done to the Billiards players. What publication showed all the photos taken at the presentation evening at the Saltash Social Club? I got out of a hospital bed to be there!! !